5 Tissue Wasting in Cachexia: Hypoanabolism or Hypercatabolism? First published in 1943, Vitamins and Hormones is the longest-running serial published by Academic Press. The Editorial Board now reflects expertise in the field of hormone action, vitamin action, X-ray crystal structure, physiology and enzyme mechanisms. Under the capable and qualified editorial leadership of Dr. Gerald Litwack, Vitamins and Hormones continues to publish cutting-edge reviews of interest to endocrinologists, biochemists, nutritionists, pharmacologists, cell biologists and molecular biologists. Others interested in the structure and function of biologically active molecules like hormones and vitamins will, as always, turn to this series for comprehensive reviews by leading contributors to this and related disciplines. 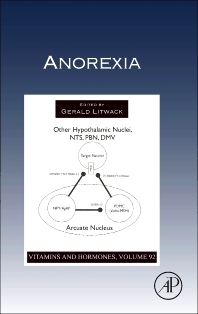 This volume focuses on anorexia. Dr. Gerald Litwack obtained M.S. and PhD degrees from the University of Wisconsin Department of Biochemistry and remained there for a brief time as a Lecturer on Enzymes. Then he entered the Biochemical Institute of the Sorbonne as a Fellow of the National Foundation for Infantile Paralysis. He next moved to Rutgers University as an Assistant Professor of Biochemistry and later as Associate Professor of biochemistry at the University of Pennsylvania Graduate School of Medicine. After four years he moved to the Temple University School of Medicine as Professor of Biochemistry and Deputy Director of the Fels Institute for Cancer Research and Molecular Biology, soon after, becoming the Laura H. Carnell Professor. Subsequently he was appointed chair of Biochemistry and Molecular Pharmacology at the Jefferson Medical College as well as Vice Dean for Research and Deputy Director of the Jefferson Cancer Institute and Director of the Institute for Apoptosis. Following the move of his family, he became a Visiting Scholar at the Department of Biological Chemistry of the Geffen School of Medicine at UCLA and then became the Founding Chair of the Department of Basic Sciences at the Geisinger Commonwealth School of Medicine, becoming Professor of Molecular and Cellular Medicine and Associate Director of the Institute for Regenerative Medicine at the Texas A&M Health Science Center as his final position. During his career he was a visiting scientist at the University of California, San Francisco and Berkeley, Courtauld Institute of Biochemistry, London and the Wistar Institute. 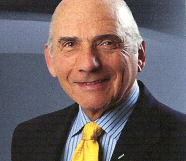 He was appointed Emeritus Professor and/or Chair at Rutgers University, Thomas Jefferson University and the Geisinger Commonwealth School of Medicine. He has published more than 300 scientific papers, authored three textbooks and edited more than sixty-five books. Currently he lives with his family and continues his authorship and editorial work in Los Angeles.